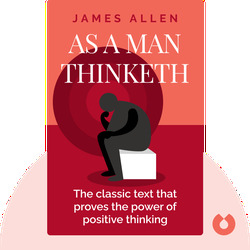 As a Man Thinketh (1903) captures the philosophy of James Allen. These blinks reveal the power that thoughts have over our personalities, our circumstances and our well-being. We discover the benefits of learning to master our minds and direct our thoughts toward the goals we want to achieve. James Allen (1864–1912) was a British author best known for his theories about the power of thought. 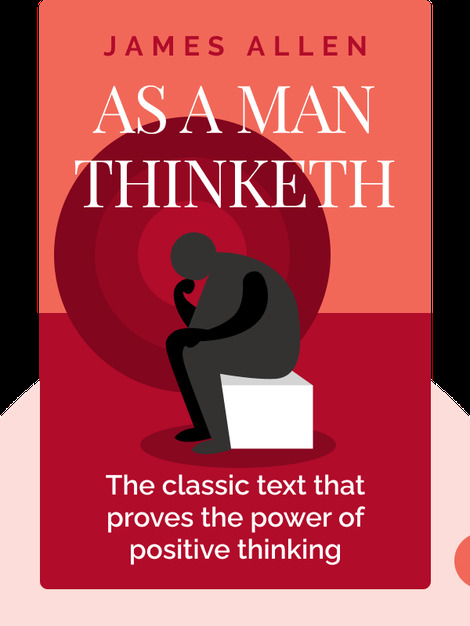 His most famous work, As a Man Thinketh, has inspired generations of self-help writers.